You intend to pick up nothing more than a gallon of milk, but soon the shine from various aisles within the store casts its spell, and you leave $200 poorer and still without milk. One section I'm especially drawn to is their dollar section. I rely on this area for blank notecards, small stocking stuffers and teacher gifts. 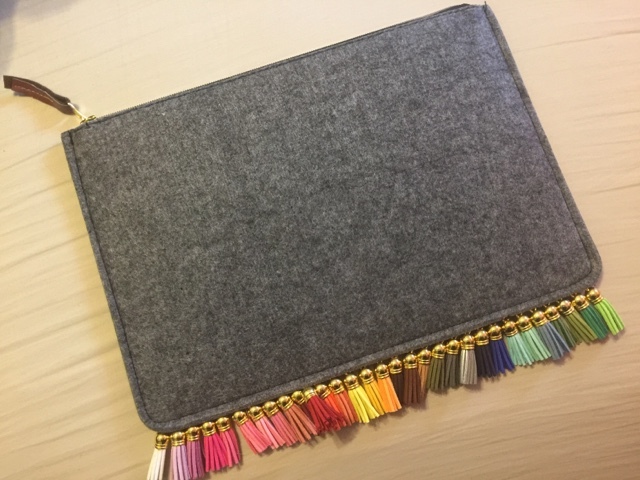 Recently, I found a pretty basic gray felt clutch for $3 and brought it home without question. The construction was simple, and I discovered I could pull the bottom hem open. 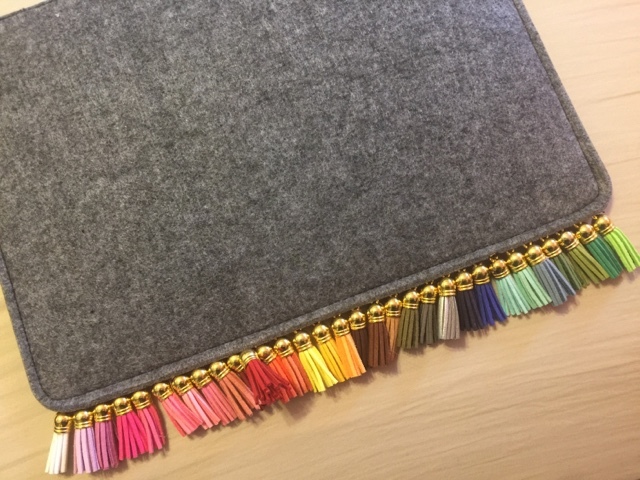 I began sewing colorful tassels within the space. 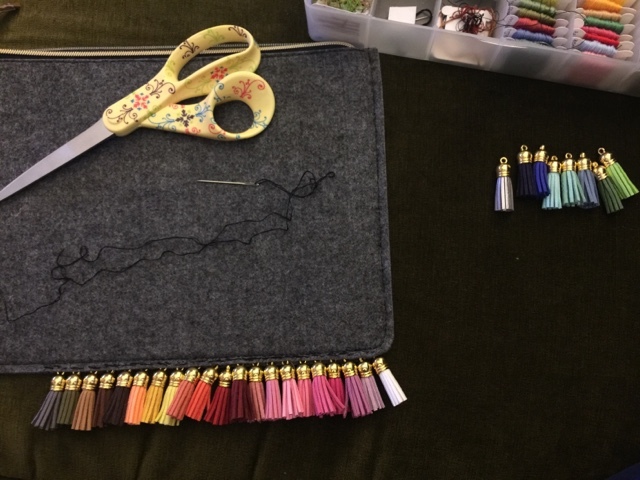 Before they served this purpose, Madelyn loved to play with the colorful tassels I had set aside because like her - I was drawn to their happiness effect. 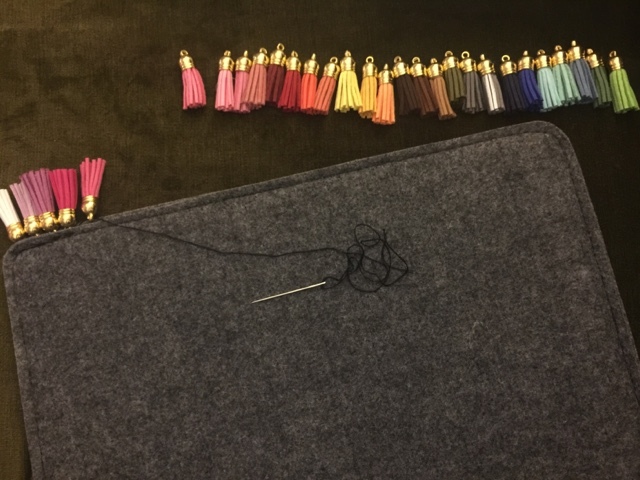 When she found me sewing the tassels onto the clutch, she exclaimed, "ooo! That's mine right?" And you must call her MISS Fancy now.